Charming Lake Home. Splash & Fish off your own waterfront dock. 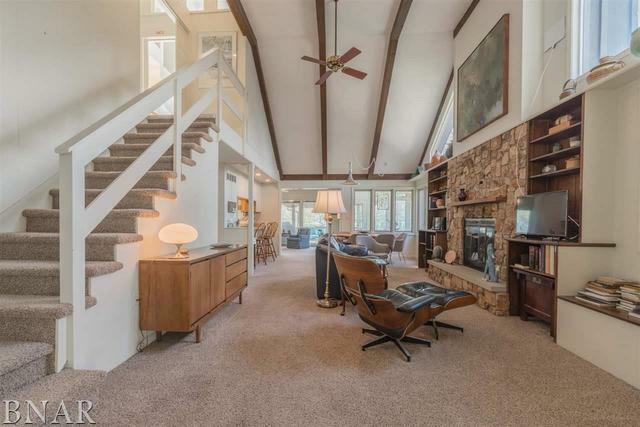 Master en suite with 3rd sunroom, with all glass sliders, huge walk in closet 10 x 14 with stained glass windows and many places thru-out home, plus a Jet tub and step in shower, and cathedral ceiling. 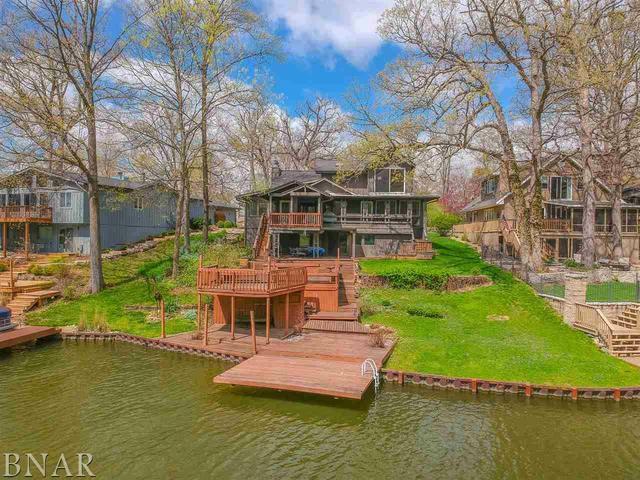 There is a covered porch, a deck plus a nice dock to park your pontoon boat or fishing boat. The walk out basement could have a bedroom in addition to the other 2 rooms presently used as a studio. Kitchen has breakfast bar, Kenmore electric range, 5 year new fridge, dishwasher, pull out shelves and a Corion sink. 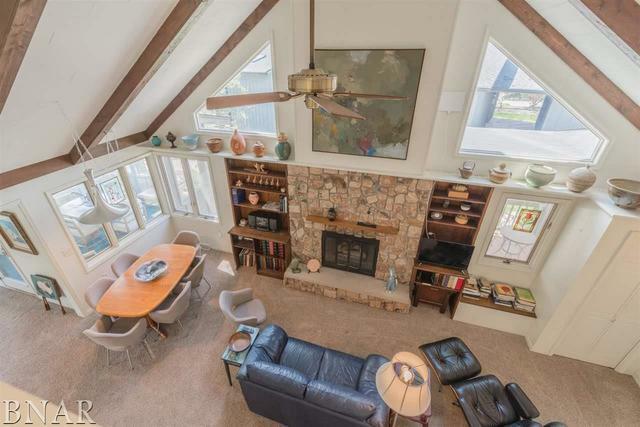 Great room has stone 2 story fireplace, cathedral ceiling and dining area. Living room used as office that opens to another covered porch. Large 15 x 10 entry used as art gallery.